Shop Chrome postcard. South of the Border. 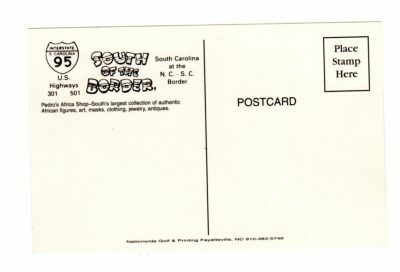 At the North Carolina, South Carolina border. 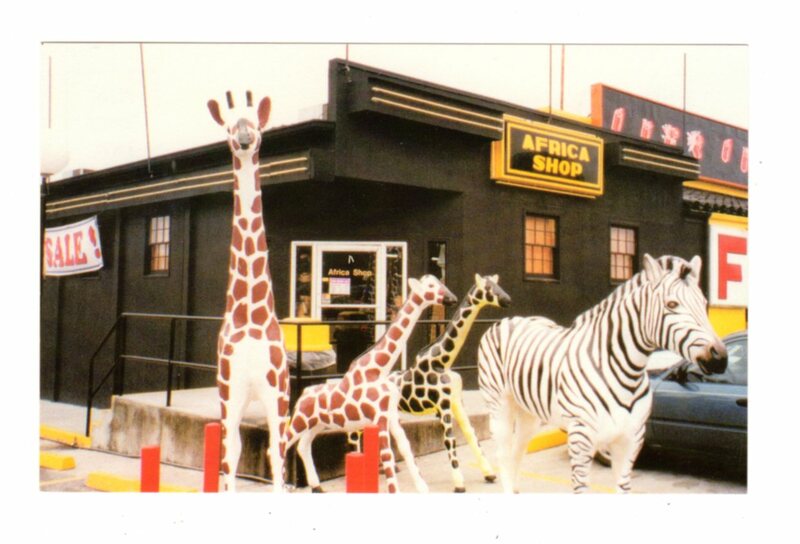 Pedro's Africa Shop. Giraffe, zebra. Chrome postcard. South of the Border. At the North Carolina, South Carolina border. Pedro’s Africa Shop. Giraffe, zebra. 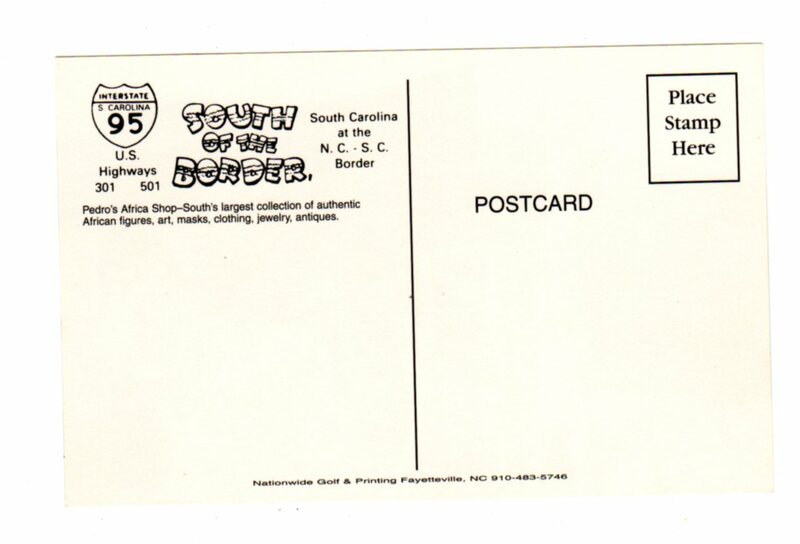 Publisher: Nationwide Golf & Printing, Fayetteville, NC.